A diet high in carcinogenic foods can contribute to your risk of cancer. Avoid processed meats, experts say, and limit red meat and alcohol to reduce your risk. When it comes to health concerns, cancer is at the top of the list for most people. 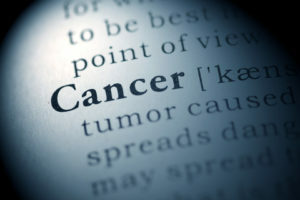 Some risk factors for cancer are beyond your control; for example, your inherited genetic makeup may predispose you to certain types of cancer. However, you can take action now to address common risk factors for cancer. For example, you can make smart choices about what you put on your plate—and what to avoid putting on your plate. Carcinogenic foods fall into the latter category. First, let’s start with a carcinogen definition: The word refers to a substance that can alter cells so they become cancerous, meaning that they can invade and destroy nearby tissue and may spread to other parts of the body. Substances that are known carcinogens include chemicals found in air pollution, cigarette smoke, and some pesticides. Foods that have been identified as carcinogenic to humans by the International Agency for Research on Cancer (IARC) include alcoholic beverages, processed meat, and Chinese-style salted fish. (The latter, traditionally from Guangdong, China, usually consists of cod that has been preserved with salt; the consumption of this fish has been linked with nasopharyngeal cancer.) Red meat is classified as “probably carcinogenic to humans.” And, some chemicals that are added to various types of processed foods have been identified as possibly or probably carcinogenic to humans. Processed meat. Processed meat is any meat that has been smoked, cured, salted, or contains chemical preservatives. 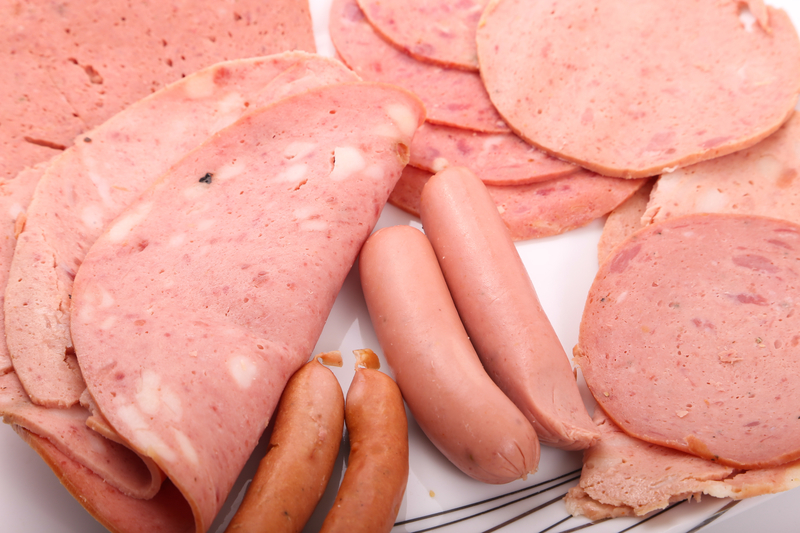 Processed meats include salami, bacon, sausage, hot dogs, ham, jerky, pastrami, and other deli and lunch meats. Researchers have discovered that eating an average of 50 grams—about 1.8 ounces—of processed meat daily increased the risk of colorectal cancer by 18 percent. Both the IARC and the American Institute for Cancer Research (AICR) recommend eliminating these foods completely from your diet. The link between processed meats and cancer may be due to the nitrates, nitrites, and/or sodium they contain; these ingredients contribute to the formation of nitrosamines, which are known carcinogens. Red meat. Diets that are high in red meat (beef, lamb, pork, and goat) are linked to increased risks of colorectal, pancreatic, and prostate cancers, especially if the meat is cooked at very high temperatures and/or is charred, which most commonly occurs when you’re grilling. The AICR recommends limiting red meat intake to less than 18 ounces of cooked meat per week. If you do eat red meat, choose the leaner cuts, such as beef and pork loin, to reduce your intake of saturated fat. Replace red meat with chicken, turkey, fish, and legumes for adequate protein and variety. Alcoholic beverages. Many people enjoy a glass of wine with dinner or a cold beer when watching their favorite sports event, but the key is moderation. Moderate drinking is defined as up to one drink per day for women and up to two drinks per day for men. Drinking more than these amounts will increase your risk of oral, throat, larynx (voice box), esophageal, and liver cancers. Women who drink an average of three alcoholic beverages daily have a 1.5 times higher risk of developing breast cancer than women who don’t drink alcohol. A drink of alcohol is defined as 12 ounces of beer, 5 ounces of wine, or 1.5 ounces of 80-proof distilled spirits. The type of alcoholic beverage is not as important as the total amount consumed. Fortunately, many more foods have cancer-fighting properties than cancer-causing properties. Most of these foods are plant-based, and they are rich in antioxidants, substances that prohibit oxidation at the cellular level and prevent dangerous free radicals—molecules that can damage cell membranes and DNA—from forming. Cruciferous vegetables. This family of vegetables includes arugula, bok choi (often called “Chinese cabbage), broccoli, Brussels sprouts, cabbage, cauliflower, collard greens, watercress, and kale, as well as radishes, rutabagas, and turnips. Cruciferous vegetables are excellent sources of antioxidants, including several phytochemicals (plant compounds) such as beta-carotene, lutein, and zeaxanthin. These compounds may help prevent cancer by protecting cells from DNA damage, as well as destroying existing cancerous cells. Berries. Blueberries, strawberries, and blackberries are some of the richest sources of antioxidants, providing vitamins C and E, anthocyanins (phytochemicals that give these fruits their vibrant colors), flavonoids, and carotenoids. If berries aren’t in season, opt for the frozen variety: One study found that freezing blueberries actually increases their anthocyanin concentration. Excess body fat has been linked to a higher risk of several types of cancer, including breast cancer, and eating more vegetables and fruits, such as crucifers and berries, can also help you stay at a healthy weight. Most fruits and vegetables contain fiber, which helps you feel fuller and helps prevent overeating. Omega-3 fats. Consuming foods that are rich in omega-3 fatty acids has been linked with a reduced risk of colon cancer and lower levels of inflammation. Foods that contain the omega-3s DHA (docosahexaenoic acid) and EPA (eicosapentaenoic acid) include fatty fish such as salmon, mackerel, herring, trout, sardines, and tuna. The form of omega-3s found in plant foods, ALA (alpha-linolenic acid), is found in flaxseed and flaxseed oil, canola oil, walnuts and walnut oil, almonds and almond oil, soybeans and soybean oil, pumpkin seeds, and chia seeds. Tea. Teas made with leaves from the Camellia sinensis plant—black, oolong, white, and green teas—are rich in phytochemicals called flavonoids. One flavonoid in particular, kaempferol (also found in broccoli), has been shown to provide protection against ovarian cancer. Drink one or more cups of tea every day to boost your kaempferol consumption, but don’t overdo it on the caffeine; black tea has the highest caffeine content, while white tea has the lowest. Decaffeinated teas contain about half of the flavonoids in regular tea. Keep in mind is that it’s extremely unlikely that eating certain foods occasionally will cause you to develop cancer. Your overall dietary pattern, along with other factors—such as whether you smoke, whether you exercise regularly, if you live in an urban area, and if you’re obese—all play a part in determining your cancer risk. Yes, it is wise to limit carcinogenic foods and increase your intake of fruits, vegetables, and other whole foods, but view your dietary choices as just one part of an overall lifestyle that will decrease your risk of cancer along with other chronic diseases. alcohol, almonds, alpha linolenic acid, antioxidants, beer, beta carotene, black tea, breast cancer, caffeine, cancer, cancer research, cancer risk, cancers, carcinogenic foods, carotenoids, cauliflower, colon cancer, colorectal, colorectal cancer, cruciferous vegetables, diet, eicosapentaenoic acid, excess body fat, exercise, fiber, fight cancer, free radicals, health, health concerns, healthy weight, inflammation, kale, nasopharyngeal cancer, nitrates, omega 3, omega 3 fats, omega 3 fatty acids, omega 3s, ovarian cancer, overeating, pesticides, preservatives, processed foods, Prostate, protein, research on cancer, risk of colon cancer, types of cancer, vegetables, vitamins, voice box, walnuts, what are carcinogens, wine, zeaxanthin.